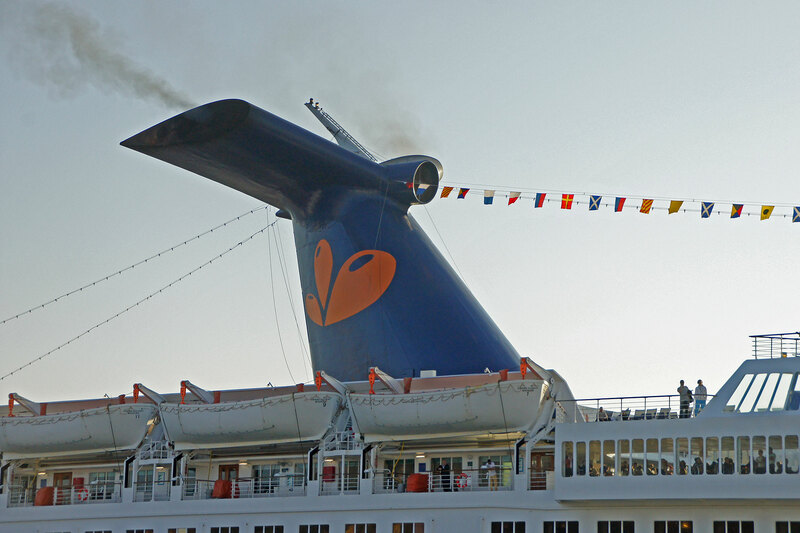 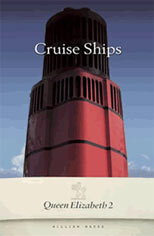 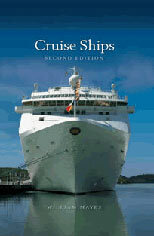 This page is one of a series showing mainly shipping and other transport images from a 14 night cruise on Grand Princess in October2011 from Southampton to the Mediterranean. We travelled in balcony cabin C316, Deck 10 on the port side. 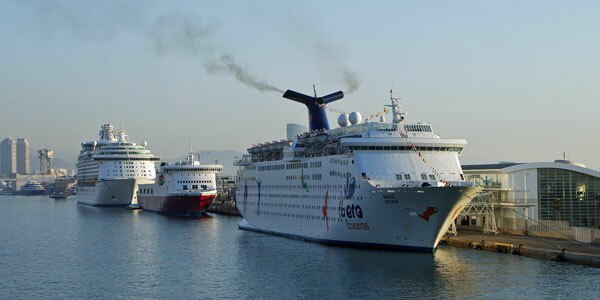 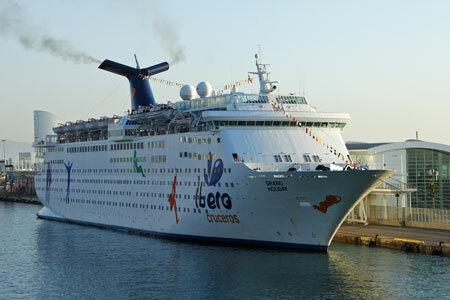 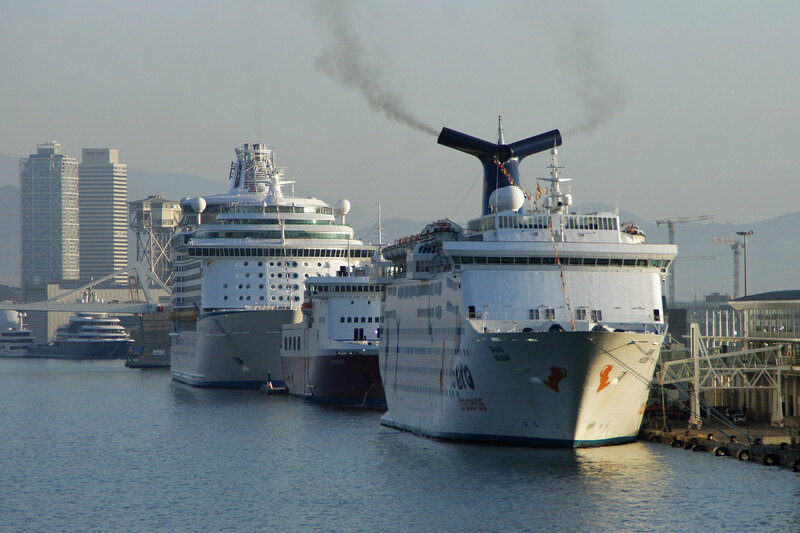 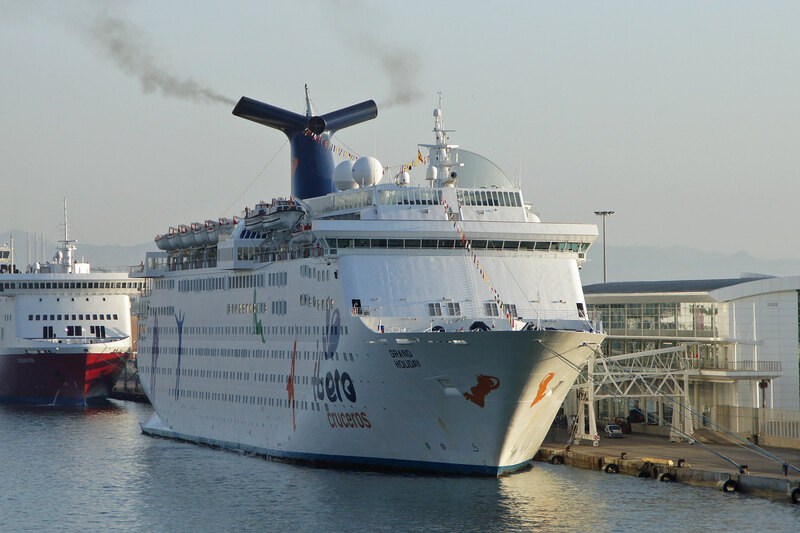 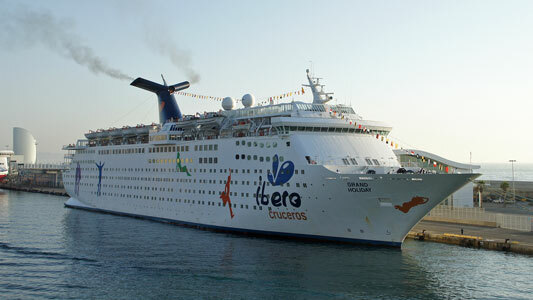 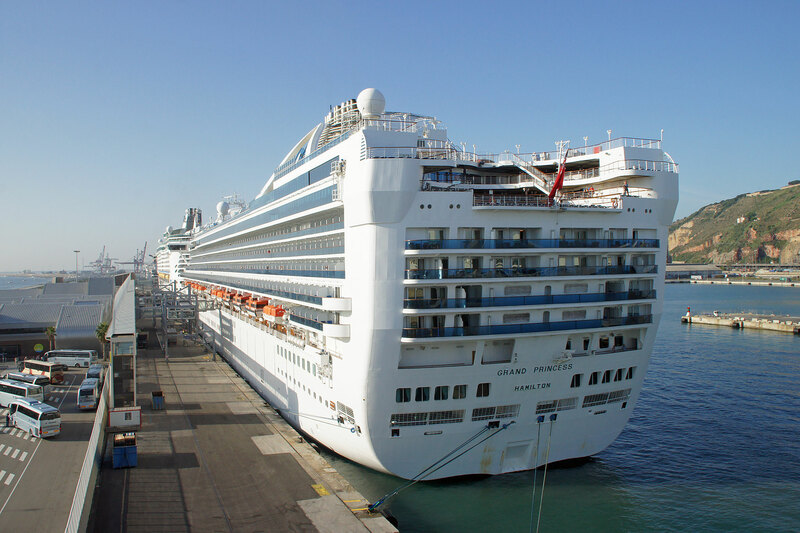 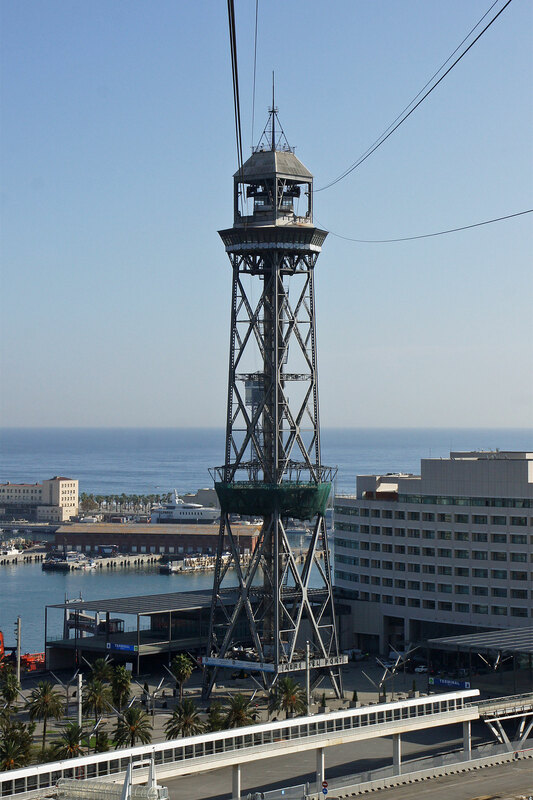 This page covers our sixth port of call Barcelona. 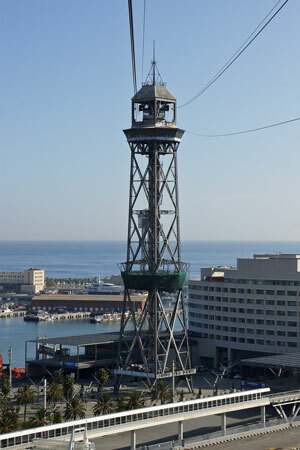 Our sixth port of call was Barcelona. We have been there numerous times before and decided to travel on the Telefèric del Port cable car which was closed the last time we were there. 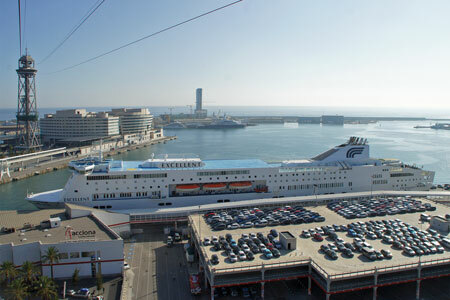 We arrived early in the morning but Grand Holiday and Freedom of the Seas had already docked. 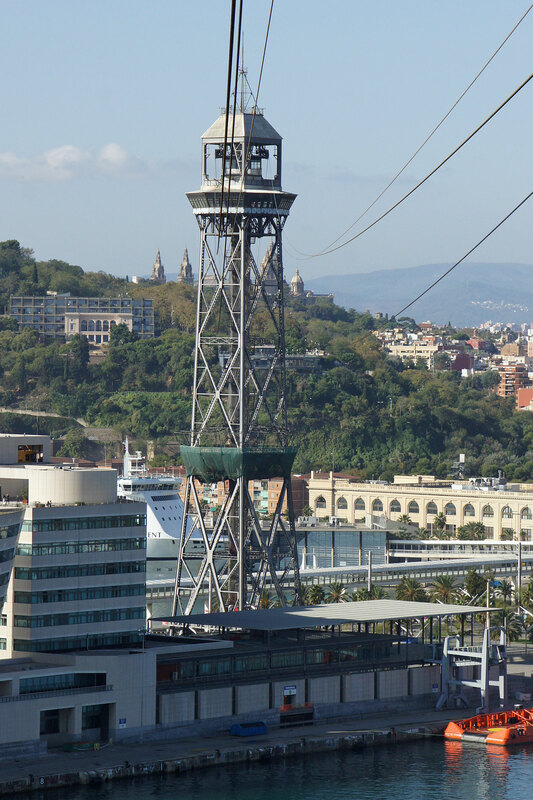 We travelled on the Montjuic Funicular up Montjuic then the Telefèric del Port across the harbour to the Barceloneta beach area. 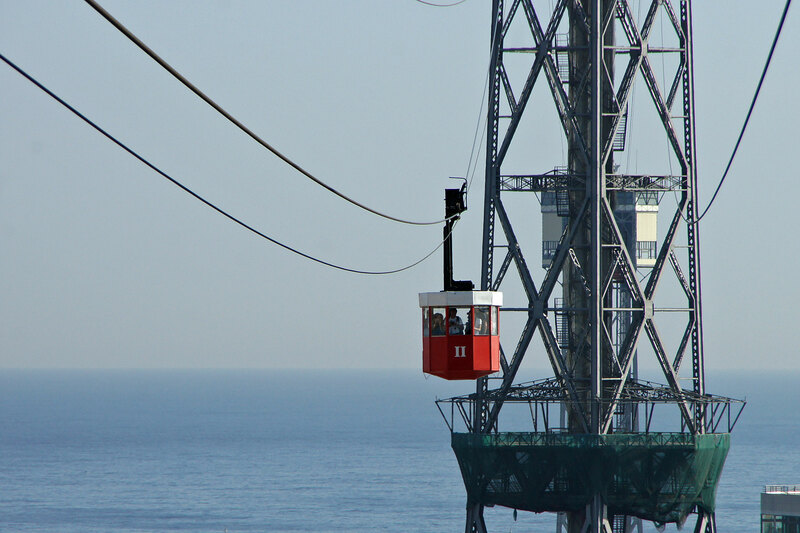 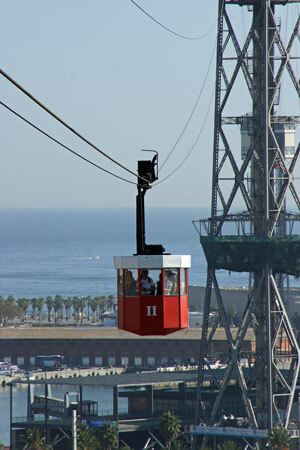 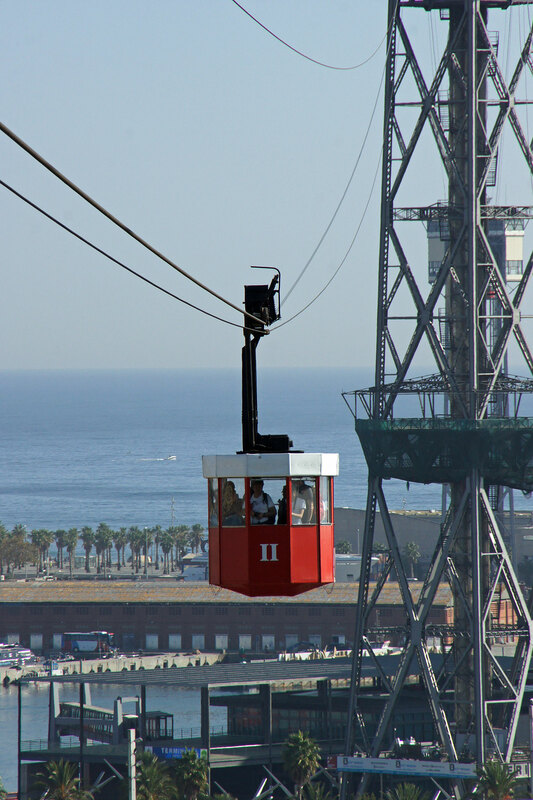 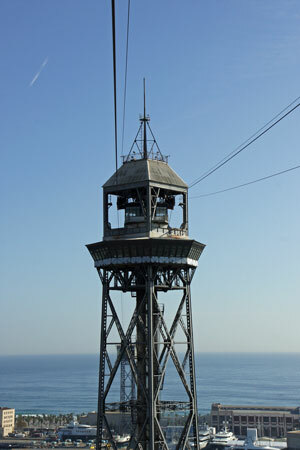 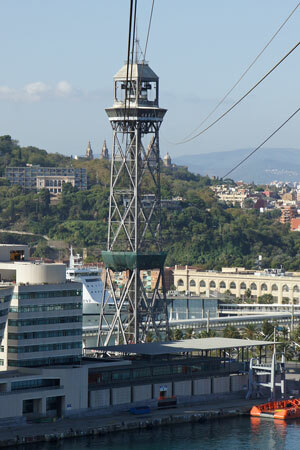 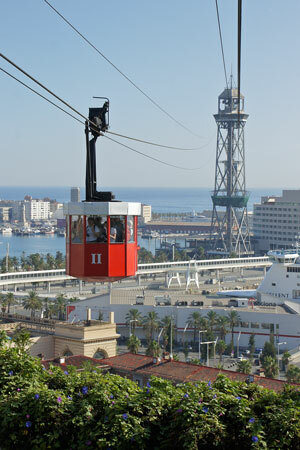 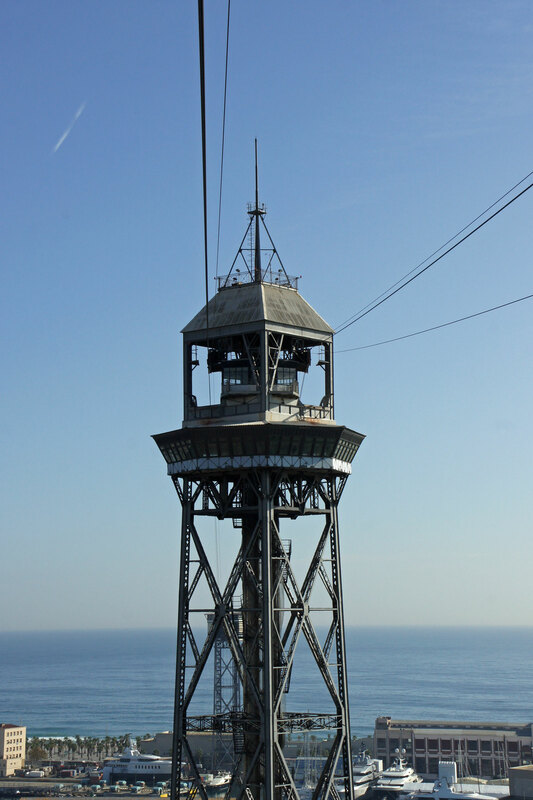 The Telefèric del Port is a cable car which starts at the Miramar station situated halfway down the hill of Montjuïc at an altitude of 57m, passes through the peak of Torre Jaume I which is 107m high and ends at the top of Torre Sant Sebastià at 86 m, from where an elevator descends to the streets of Barcelona. 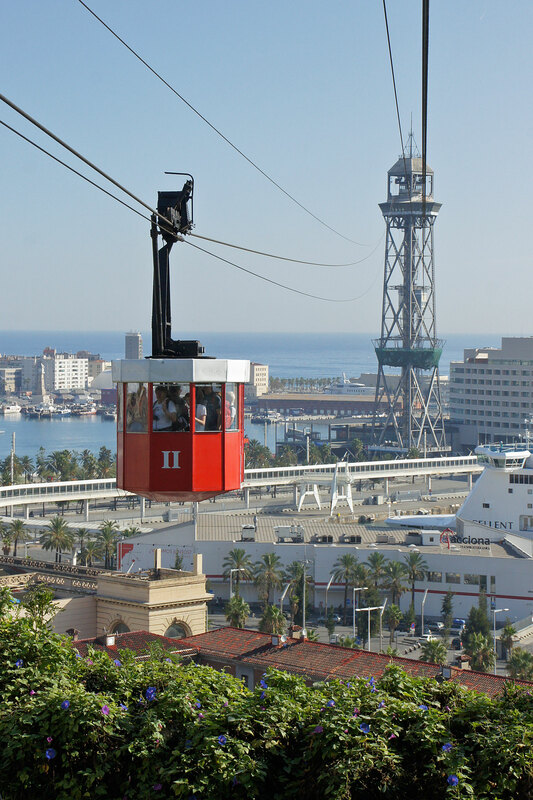 The ride offers a fine view over Barcelona, the nearby Plaça del Portal de la Pau with the Columbus Monument, Port Vell with its Balearic ferries and the World Trade Centre, and Barceloneta with its Mediterranean beaches. 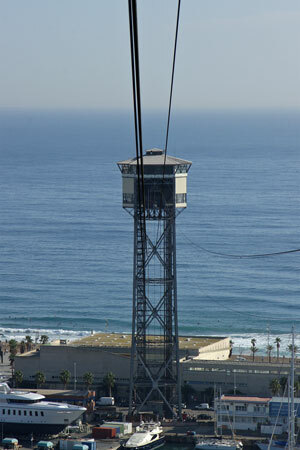 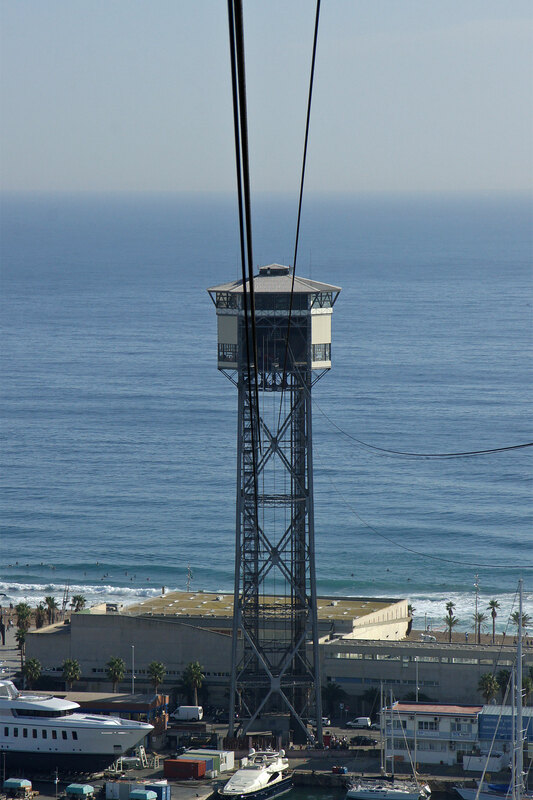 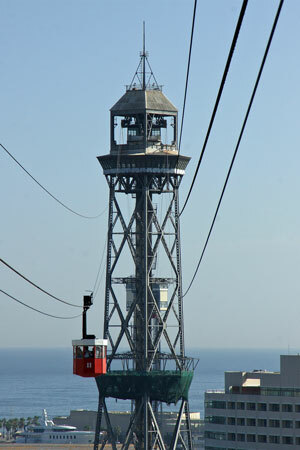 The tramway normally makes a short stop at Torre Jaume I, allowing passengers to wander around the platform of this tower which was the world's highest aerial lift pylon until 1966. 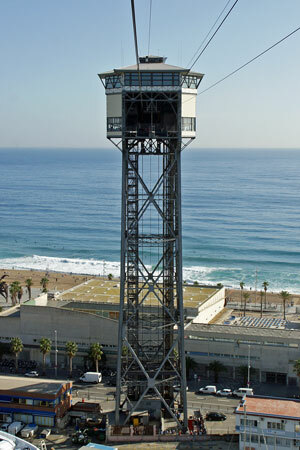 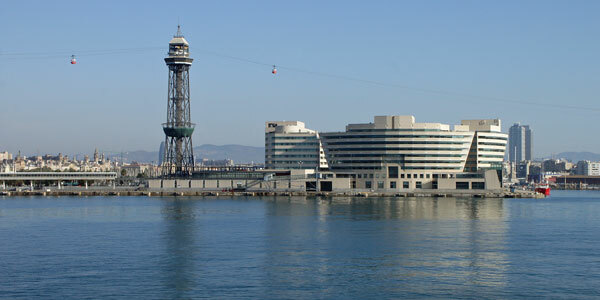 However, the central Torre Jaume I has been closed on my two 2009/2011 visits whilst the lifts are being refurbished. 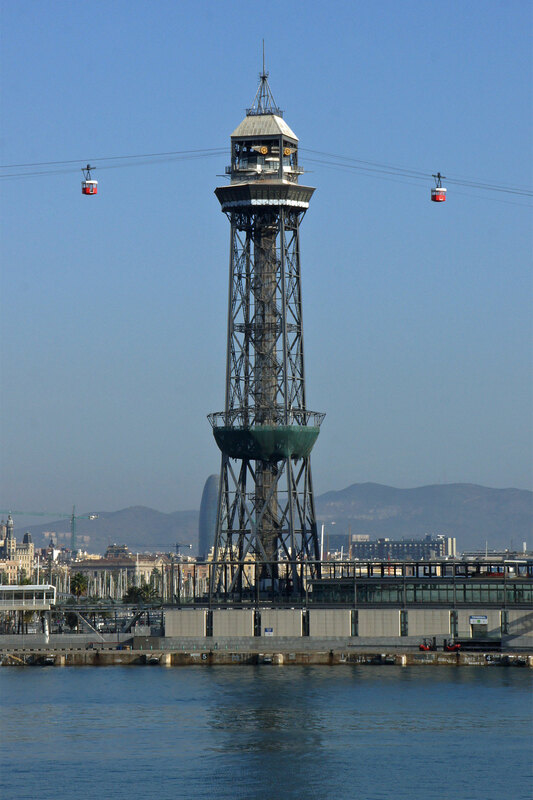 The aerial tramway was intended to be an attraction at the 1929 Barcelona International Exposition, a World's fair. 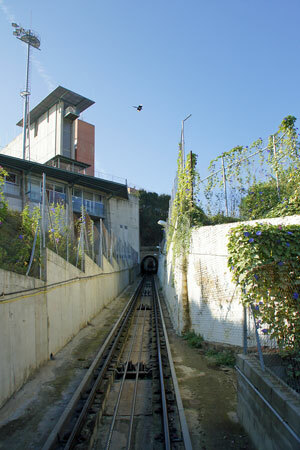 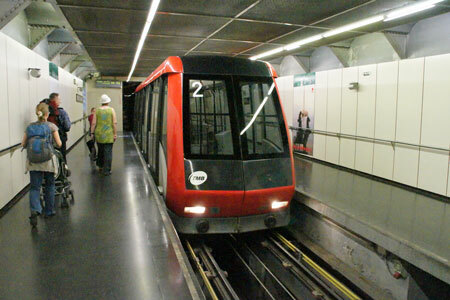 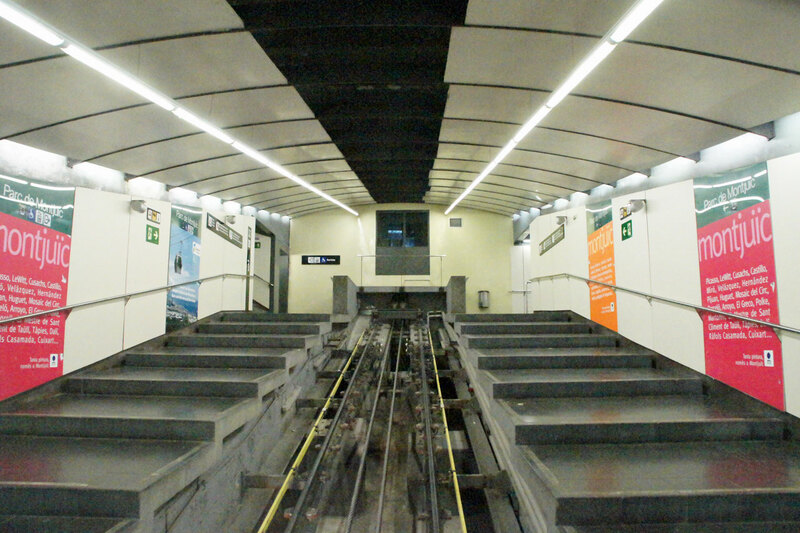 To this end, the Air Rail San Sebastian-Miramar, S.A. was incorporated and obtained the royal licence to build and operate the tramway. 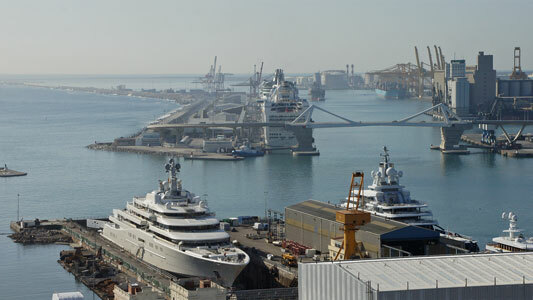 The manager of the project was Juan Rodriguez Roda. 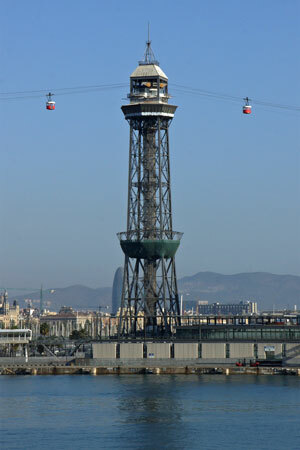 The towers were designed by the architect Carles Boigas and executed by Material para Ferrocarriles y Construcciones S.A.. 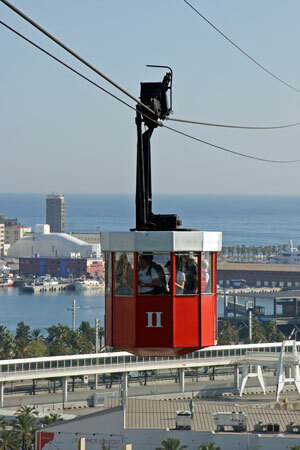 The aerial tramway was built by Bleichert, at that time a company with a worldwide reputation which had just completed the Aeri de Montserrat. 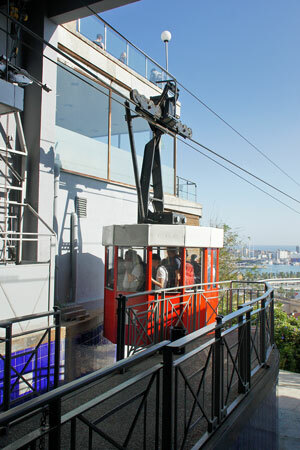 However, the size of the project was underestimated and the aerial tramway was opened only on 12 September 1931. Initially, the aerial tramway consisted of two sections with two cars each. 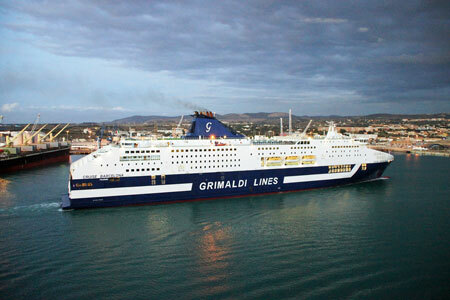 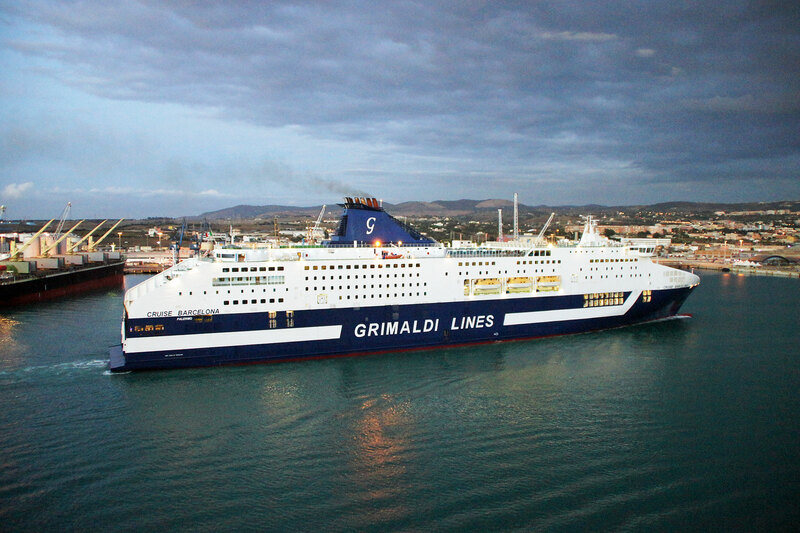 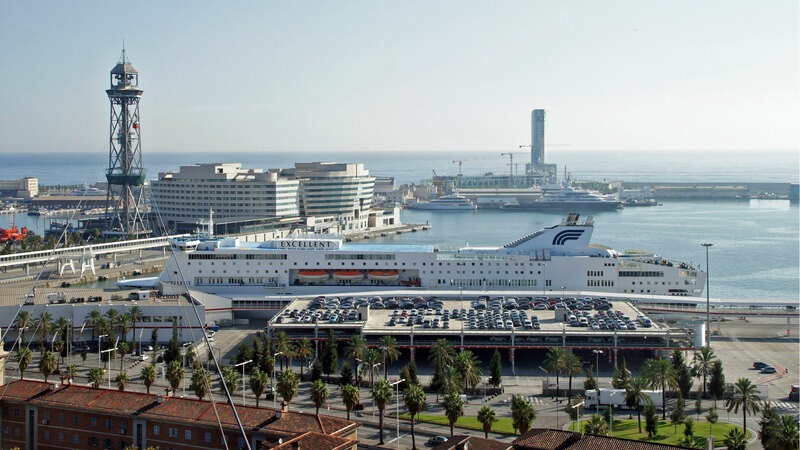 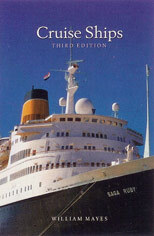 The cabins travelled from the terminal stations to Torre Jaume I and back, however, there was only one haul rope for the total length which moved all four cabins.